In 1914, the main concern of the Turkish Navy was maintaining a balance of power with the Greeks with whom relations were very tense. Both countries were attempting to enlarge their navies and Turkish orders included two British dreadnoughts, two scout cruisers and four destroyers, none of which were delivered. In fact the non-delivery of the two completed dreadnoughts did much to bring Turkey into the war on Germany’s side in November 1914. Yavuz Sultan Selim - 'Sultan Selim' or variously 'Yavus', 'Yavouz', or 'Jawus Sultan Selim', modern 'Yavuz' - meaning stern, tough, grim, even amazingly clever. Sultan Selim I (1470-1512) who greatly expanded the Ottoman Empire is often referred to as Yavuz Selim - Selim the Grim. Battlecruiser 'Yavuz' survived until the 1970’s to be broken up. HAYREDDIN BARBAROSSA, 8th August 1915, Turkish Waters, off Bulair, Gallipoli Peninsula in Sea of Marmara (40-27’N, 26-48’E) - torpedoed once by British submarine 'E-11'. One day after the last Allied landing on the Gallipoli Peninsula - at Suvla Bay - in a final attempt to break the deadlock on land, pre-dreadnought 'Hayreddin Barbarossa' (Commodore Mustafapasali Muzaffer) had sailed through the Sea of Marmara, escorted by two destroyers to support the Turkish land defences. Expecting her to take part in the battle, 'E.11' (Lt-Cdr Naismith VC), on her second patrol in the Sea of Marmara during which she accounted for numerous vessels including torpedo gunboat 'Berc-i-Satvet' that month, waited at the northern end of the Dardanelles Narrows. The 'Barbarossa' capsized and sank in fifteen minutes with the loss of 250 men. MEDJIDIYE, 3rd April 1915, Black Sea, 15 miles off Odessa, Russian Ukraine (c 46-15’N, 30-45’E) - by one Russian mine. Sailing to attack Russian transports at Odessa in company with the 'Hamidiye' and four torpedo boats under the overall command of German Cdr Buchsel, 'Medjidiye' went down in shallow water around dawn, just short of the target. One of the torpedo boats attempted to destroy her with a torpedo. A major loss for the small Turkish Navy, most of her crew were rescued by the torpedo boats, but there were 14 men. 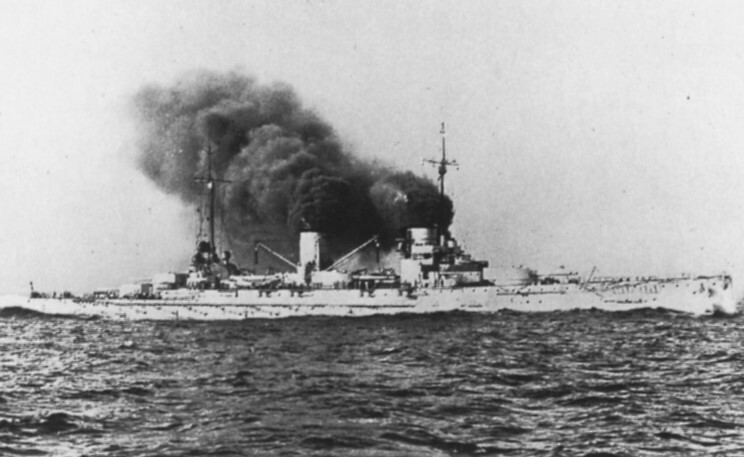 (Some sources describe her as returning from bombarding Odessa or even the inland port of Nikolayev). 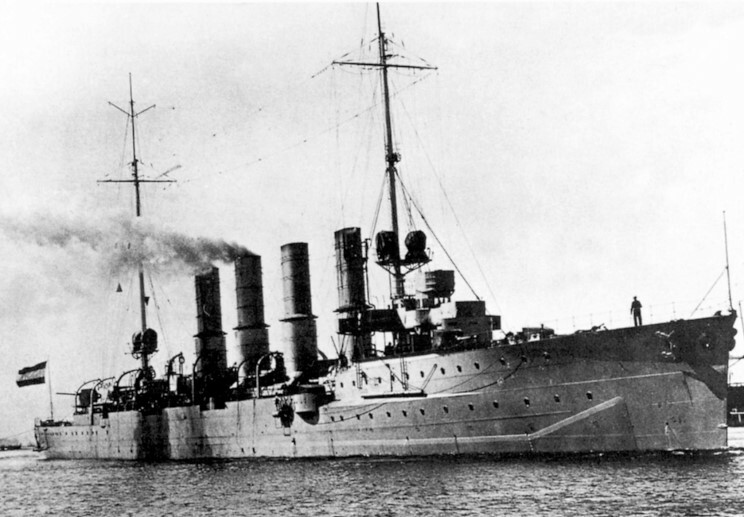 'Medjidiye' was salvaged by the Russians in June 1915 and recommissioned as the 'Prut' in October, named after the minelayer lost to 'Goeben' in October 1914. Captured by the Germans at Sevastopol in 1918 and returned to Turkey, surviving until 1948. JADHIGAR-I-MILLET (modern form 'Yadigar-i-Millet' - The Nation’s Reminder), night of 9th/10th July 1917, Turkish waters, off Istinye (the Golden Horn), Constantinople in the Bosphorus (39-56’N, 29-10.5’E) - bombed by a British RNAS aircraft. A Handley Page bomber flown out from Britain, flew from Mudros late on the 9th to attack the German big ships 'Goeben' and 'Breslau' based at Constantinople. They were missed but the nearby 'Jadhigar-i-Millet' (Lt Cdr Cesmeli Raif Said) was hit and sunk just after midnight on the 10th; there were 29 men. She was refloated and scrapped.